In California, 62% of children under 5 years of age spend at least part of their day in the care of someone other than their parents. Research shows that children in high quality care environments show more advanced language skills, have fewer behavior problems, do better in school, and have better social skills. The rate of accreditation of Santa Barbara County centers by the National Association for the Education of Young Children (NAEYC) in 2014 reached 32%, eight times the California rate of 4% and more than five times the U.S. rate of 6%. 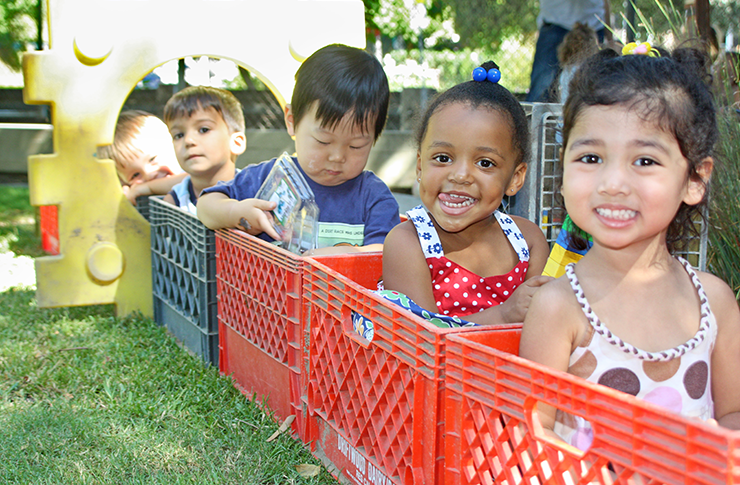 Prior to 2003, the Early Childhood Education (ECE) community in Santa Barbara County had no way of consistently recognizing a quality child care site beyond state licensing requirements, which cover minimal health and safety standards, although it was well known that the level of high-quality programming recognized by national accreditation leads to success in school and in life for our youngest children. With strong confidence in child care accreditation established by the National Association for the Education of Young Children (NAEYC), our county was in need of a plan to help center directors achieve that accreditation. Efforts began around 2003 to increase the number of accredited programs in the county by focusing on program quality, strategies to measure quality, and a robust county-wide infrastructure to achieve and sustain a significant impact for children in the community. First up: a “Steps to Quality” program that helped child care sites get ready for the rigors of accreditation. Using quality improvement plans, mini-grants based on those plans, learning communities, coaching, and quality improvement tools, centers became familiar with the accreditation process and prepared themselves by changing their practices and administration. 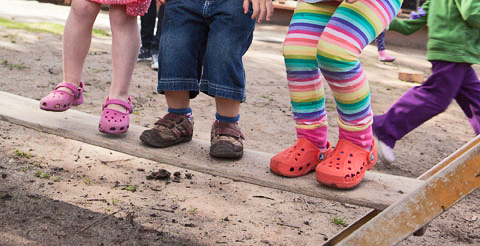 From the beginning, other local quality initiatives, such as the Preschool Food Initiative and Outdoor Classroom Project Santa Barbara County, were incorporated into the accreditation framework for centers through cross-promotion, and by inclusion in the sites’ quality plans, helping highlight the ways in which the different initiatives support each other. As more programs joined in, the pool of participants became more diverse. More intensive services for all sites were added, including mock pre-validation visits, a website with resources, and a public recognition campaign. At the same time, services became customized to each site to ensure success in both accreditation and reaccreditation. In response to the ECE community’s request for help in simplifying all the various requirements they face, Santa Barbara County developed a Quality Rating and Improvement System (QRIS) with accreditation blended in, creating a single seamless system. Accreditation is required for the top tier and a cross-validation system has been created with NAEYC, including QRIS, Preschool Food, and Outdoor Classroom criteria. Child care quality has undergone a cultural change in Santa Barbara County, beginning with a universal agreement in the ECE community that accreditation be required in the top tier of the QRIS. Each new year brings additional centers ready to begin the accreditation process. Parents are beginning to ask for, and can now more easily find, accredited programs for their children. Over 2,200 children each year are served in the 51 accredited center programs, many of whom are low-income and/or high-needs children. The momentum is growing in our county, and First 5 Santa Barbara County will continue to support accreditation, now solidly integrated into the QRIS system. New initiatives and funding opportunities are seen as tools for building on what exists and filling gaps, bringing Santa Barbara County closer to the goal of a system that ensures quality child care for all young children.